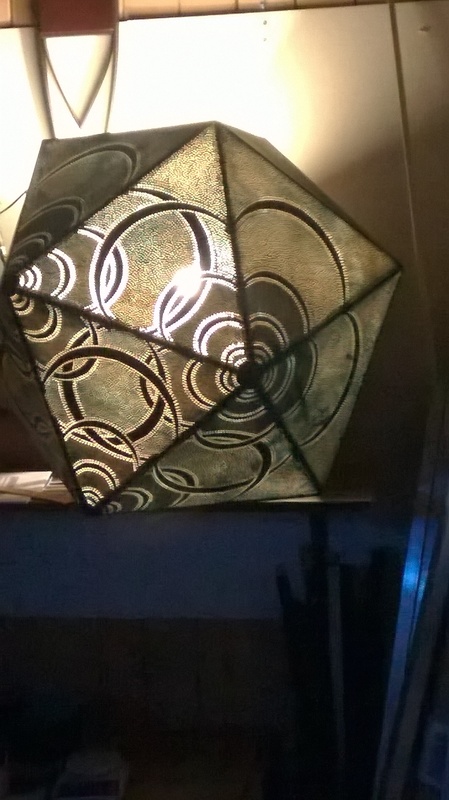 This is a drilled MDF polyhedron lamp/illuminated shape about 800mm in diameter with 20 faces, also known as an Icosahedron. It is a prototype/experiment which sits in the workshop waiting to be loved again. 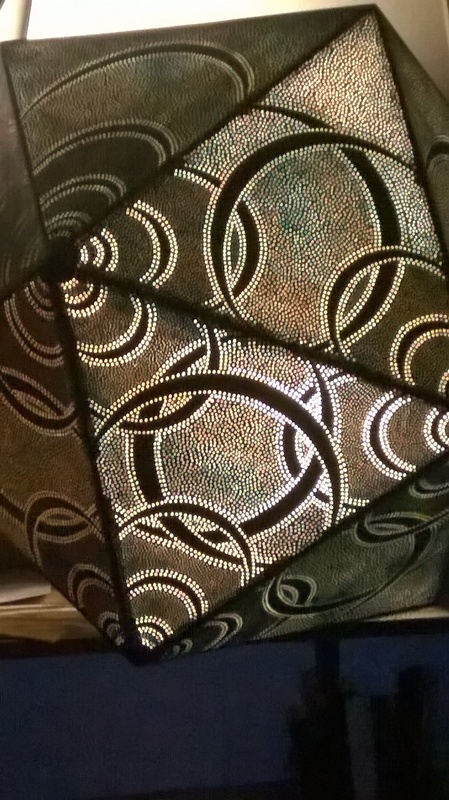 The drilled design is formed with the help of Fibonacci numbers. Obvious to me obviously!